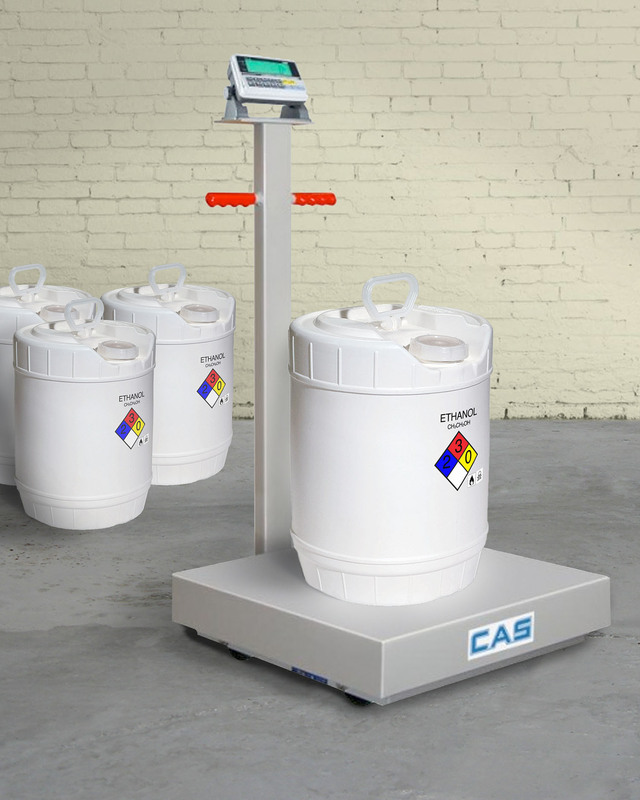 A fully portable platform scale that features 304 stainless steel construc-tion, with overload protection, and a battery operated digital indicator is being introduced by Alliance Scale, Inc. of Canton, Massachusetts. The Alliance/CAS Transit TR-Series Portable Platform Scale features 304 stainless steel construction with four-point overload protection and an internal bumper system that protects the platform from shock loading. Ideal for weighing chemical products, it has two fixed and two swivel poly bonded 4” wheels for easy mobility, two OSHA orange safety handle grips, and includes a digital indicator with a full function numeric keypad. Available with a choice of 304 stainless steel IP67 rated or plastic NEMA 12 enclosure, AC or DC operation with dry cell or rechargeable batteries, the Alliance/CAS Transit TR-Series Portable Platform Scale indicator’s standard features include over/under/accept annunciators, ID capabilities, an RS232 interface, and more. Weighing apacities are 500 x 0.1 lb. and 1000 x 0.2 lb. with 18” x 24” x 6” or 24” sq. X 6” platforms. Alliance/CAS Transit TR-Series Portable Platform Scales are priced from $1495.00 depending upon indicator. Pricing is available upon request.